After purchasing a rental property, most people usually experience problems in figuring out how they should get started as a property owner. Failing to specify all of your expectations and requirements in the lease is among one of the most common mistakes that landlords. Signing a rental agreement has to be one of the most important steps when renting a property in Atlanta. However, if you haven’t hired property management in Duluth GA and are looking to do it on your own; be aware that many landlords usually neglect to take the necessary steps to protect themselves as well as their property. Ultimately, this might leave them with a financial burden and it can actually force them to give up their rental property investments. A rental agreement states all the promises between the tenant and owner, which should be followed during the term of the lease. The amount of rent to be paid, it’s due date and the maintenance responsibilities are just some of the items, which should be covered. The rental agreement helps to set expectations for the renters and answers several questions that might come up during the lease term. Some landlords might feel that they save a lot of time by not reviewing an agreement with tenants before they move in but this is not something which should be skipped. You can ask any property management firm in Duluth GA and they will clearly explain why the rental agreement should be read and understood by tenants before they sign and enter into the lease. Smart landlords know that the best way to safeguard their investments from potential tenant troubles is by crafting a solid rental agreement. State law in Atlanta covers many aspects of the landlord-tenant relationship, which are spelled out in the rental agreement. To avoid confusion, rental agreements should be clear and understood on all-important details. Every rental agreement must list all the parties in agreement. This will normally be you and the renter, along with the rental property’s address. You also have to state the term of the agreement, which could be monthly, starting on the first with a certain end date or an automatically continuing lease that will remain in full force and effect. Every adult who lives in your rental unit, including both members of an unmarried or married couple, ought to be named as tenants and sign the rental agreement. This makes every tenant legally responsible for the use of the rental property and all the terms agreed upon in the rental agreement. This means that you can legally terminate tenancy for all renters on that rental agreement if one of the tenants violates a crucial term of the tenancy. Your rent agreement should require the renter to put up a security deposit amount that matches a month’s rent at a minimum; this depends on the estimated value of potential repair costs or furnishing replacements. You should then put the tenant’s security deposit in a different account and then return the deposit at the end of the lease. Make sure that you have your real estate attorney reviewing your lease agreement to ascertain that it follows all the state laws. Security deposits can turn out to be a problem if they are not handled correctly. Clearly, specify that your rental unit is only for the use of the tenants specified on the agreement. This will guarantee your right to determine who will live in your rental property (ideally, the people whom you’ve screened and approved), and limit the total number of occupants. The importance of this clause is that it will give you grounds to evict tenants who move in a friend or sublet the apartment without your permission. At some point, most rental property owners have a tenant who wishes to sublet the unit to a friend or even a stranger. 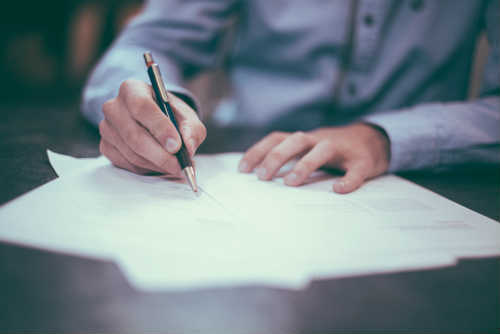 To avoid trouble, ensure that your rental agreement includes the subletting clause that requires all tenants to obtain your written permission before they decide to turn the rental over to another person. When the tenant requests to sublet the rental property, you’ll be in a position to accept or decline their offer. However, you should always keep this in mind: In case you want to agree to have a new tenant move in, then it is best to end the previous tenant’s rental agreement and start the process from scratch with the tenant. You should go through the whole background check with your new tenant, including a new lease and security deposit. The rental agreement should specify that all tenants are required to maintain their living space, abide by the noise control rules and not change the locks without your approval. You’ll want to itemize all the appliances (and any furniture) that are part of the rental agreement and also note their condition and other special considerations. Do not expect the tenant to follow oral requests, like not parking his/her car in the driveway. All requirements should be spelled out clearly in the rental agreement. You should also note whether it is the landlord or tenant who will be responsible for the utilities. Ensure that you take the time to write out clearly the details of your lease agreement. In some instances, you have the legal duty to warn your tenants of a concealed defect that’s known to you. In case you know that the deck is crumbling yet you fail to warn the tenant, then you might find yourself explaining the situation to the local authorities. It’s better to disclose the known defects in the lease or simply fix it before a new tenant moves in. The best practice is for you to know your jurisdiction’s rules about terminating a lease and then include those details in the rental agreement so that your tenant won’t be surprised. Terminations usually occur at the end of non-continuing leases and also when there’s an eviction. Evictions can be quite tricky; you might think that you know the rules, but when you improperly notify the tenant of a coming eviction, you might just find yourself on the wrong end of the lawsuit. You can always find free eviction paperwork online. However, if you were planning to evict a tenant, it would be wise for you to consult with an attorney. Include all these important clauses in your rental agreement and you’ll be well on your way towards building successful real estate investment businesses.